Chris Hatcher, the chief winemaker of Wolf Blass, is considered one of Australia’s leading winemakers as well as a highly-respected wine show judge around the world. That reputation is certainly well-deserved – in the decade alone after joining Wolf Blass in 1987, he made 39 trophy and 218 gold medal-winning wines as the senior winemaker for the winery’s range of white and sparkling wines. The job title on your business card says that you’re a ‘vintrepreneur’. What does that mean? When we looked at a name for our company Treasury Wine Estates, we asked ourselves what our business is all about. The business is really about individual wineries – Wolf Blass, Penfolds, and other wineries in Australia, the United States and Italy – and we wanted a entrepreneurial spirit in our company as well as being vintners. So it’s about being a grape grower and wine maker, but also being an entrepreneur. It’s a made-up name, but it embodies internally about what we are. We always talk about having one foot in the vineyard and the other in the boardroom. What does your role as a chief winemaker entail? I’ve been in Wolf Blass for nearly 29 years; I consider myself as a custodian of the style of the winery, and to make certain that as a business we’re respectful of where we came from but also that we need to evolve in the modern world. My role is that of an overarching winemaker; I oversee a team of winemakers comprising both experience and youth, which I think is important for any winemaker. The dynamic mix of youth and maturity gives us the ability to evolve but also be mindful of the stylistic elements of Wolf Blass. I see myself almost as a master chef in a restaurant; I don’t get my hands dirty day-to-day, most of my time is spent on the tasting bench but I also feel that when I leave the business, I need to leave a team there that respects the past. I’m obviously getting older, but I don’t see retirement as an option. This is what I do. It’s my hobby. I can see still see myself as an ambassador for the Wolf Blass story for quite a while yet. You travel a lot on the job. How much time do you spend on the move? The first half of the year I don’t travel much at all, because that’s when we put most of the wines together. The second half of the year, I travel a lot. This year is the 50th anniversary of Wolf Blass, as well as the 40th year of the release of our Black Label. Because of that I’m in the middle of 17 weeks travel out of 22. So it’s a lot! But that’s not normal. But because China is an emerging market for us so I go there three times a year, to the UK once a year. It’s a lot of travel, but it’s important that with something like wine – people grow grapes and people make wine, technology has never made a bottle of wine – we need to get real people out to talk to customers. We’re not just a brand; we’re a winery and we grow grapes and we make wine. That’s part of my role. The rise of Wolf Blass has been quite synonymous with the rise of Australia’s wine industry. Therein also lies one of the biggest challenges for the brand – as a pioneer in the market Wolf Blass can start to feel very old. How does Wolf Blass reinvent or renew itself? It’s a valid argument, but here’s an analogy. I love cars. Let’s take Ferrari, for example. I like Ferraris because you can look at a Ferrari and you’ll know it’s a Ferrari. You don’t even need to look at the badge; you can tell its styling. What we are trying to do with Wolf Blass is to have the consistency of styling, like Ferrari. But even Ferrari has evolved so much that a Ferrari of the modern day is nothing like a Ferrari from the 1960s, which can’t keep up with the cheapest car on the road now. From the branding perspective, we need to make sure our customers know we’re evolving. That involves tastings with them. It involves doing new things such as our Gold Label range, which includes a Malbec, for instance, that’s new for us. 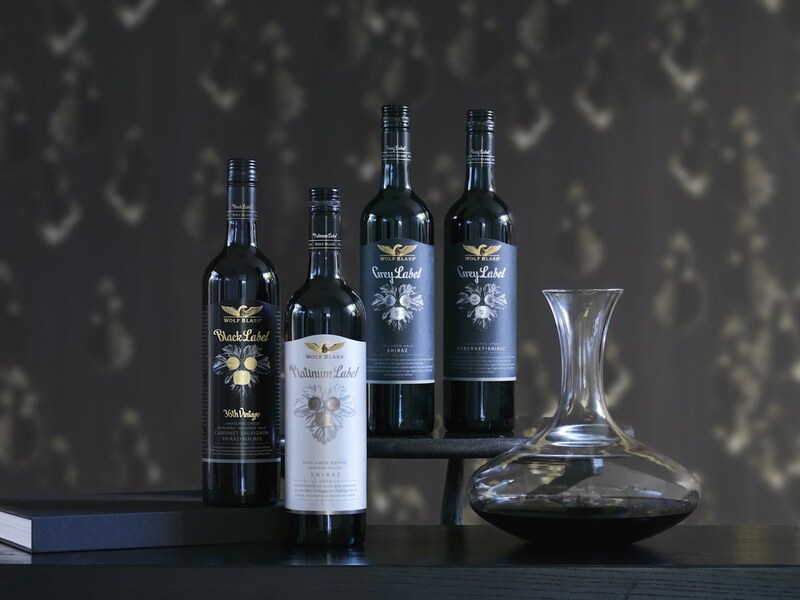 In 2008 Chris Hatcher insisted on submitting the Wolf Blass Black Label into a blind tasting competition against 30 of the most iconic wines in the world. It sounded like a crazy idea, but as it turned out the Black Label would receive a near perfect score among such illustrious company. We have another range called Blass, which is a contemporary modern version of Wolf Blass. It’s where we could do things, like say a Nebbiolo, that we just couldn’t do with the traditional Wolf Blass range. We’re trying to do some new and exciting things that people can talk about, things that are refreshing, but with confidence in the quality associated with Wolf Blass. Certainly from the taste perspective, which is changing and is today very different from that of ten years ago, it can be a challenge. And success brings that challenge; one of the things about success is that it tends to make you want to hang on to things that made you successful, but in the long run can bring your downfall if you don’t continually improve. But if you look it at the very successful brands in any industry, they evolve all the time. The key thing is to be aware that we need to stay relevant. You mentioned that tastes have changed. If you look at the Chardonnays from ten or fifteen years ago, we made very ordinary Chardonnays. And I’ll say that of Wolf Blass and the rest of Australia – very oaky, very dull and boring. But some of the Chardonnays produced in Australia today are some of the best in the world, a very modern style of Chardonnays that’s not heavily oaked. The other big change is the industry is more in viticulture than in winemaking. From a winemaking perspective we pretty much know what we’re doing. But from a viticulture perspective, it’s about finding new wine-growing regions, and matching those regions with the right varieties. We’re only learning those things now, so there’s a lot of trial and error. In Europe they’ve been doing this for hundreds of years, but go into the Adelaide Hills area where we’re growing some great Chardonnay those vines are only around 30 years old. In a sense our industry is maturing and finally growing up. There are many Australian winemakers that are experimenting with different winemaking techniques such as aging in amphorae. Any special projects that Wolf Blass is doing? I’m a big believer in that people drink classic wines in the world because they are actually good. So if you look at the Old World the reason the best wines are the best is because people want to drink them. I think a lot of trendy winemakers are trying to find new and unique things that they can use as much for marketing as it is for the quality of the wine. Some of these wines aren’t particularly good, to be honest. But it gives them a point of differentiation. I look at the classic wines of the world – Burgundy, Bordeaux and Champagne – and you’re looking at the best of the best. And while we’re in Australia and have a different terroir so we’re never going to make the same wines, but they do set a certain benchmark of style in particular. There are certainly elements from the past that we can learn from – I’ll take fermentation for instance. We built a new winery in 2001, and we actually went back to using old-style open fermenters. They are made in stainless steel, and they are round and not rectangular like the old ones but the dimensions are the same, because we found the best wines we made were actually in the old concrete open fermenters. So when we built the new winery we took all of the learnings that we had about how we made our best wines, but applied it with modern equipment. So we’re actually making wine now like it’s made 200 years ago but in a modern way. There are a lot of learnings that people have done in the past such as the use of amphorae, but you need to be mindful of the actual end taste of the wine because at the end of the day it is what is in the glass that truly matters. The Australian wine industry has seen much change over the decades, moving from stickies to big jammy fruit bombs and has now moved to more elegant modern styles. What do you think is the next evolution? If I knew I’d be a multi-millionaire! But I’m a big believer in getting better at what you do. If you look at the changes in red wine over the last few years in Australia it’s been quite dramatic. Climate change is something that we’re always looking at, and there are a lot of grape varieties that are doing well in Australia now. From a winemaking perspective, if you’re continually chasing trends you’re not going to be true to who you are and you’re not going to be successful in the long run if you become a me-too. We could easily do a New Zealand-style Sauvignon Blanc under Wolf Blass, but it wouldn’t make any sense. Look to lead the quality stakes. The real wine market is about regions and about place and winemakers and quality. That market will always be like that. People will always buy quality Burgundy, quality Bordeaux, and quality Australian wines. I hope that market doesn’t get down to chasing trends. What would you say is the most challenging aspect for the brand? I want to see the Wolf Blass brand around in the next 100 years. I personally won’t be around, but I want to leave it in a place that through the winemaking team and the company that it is here for the long haul. That means we need to keep it relevant to each era, from the winemaking perspective to the marketing aspect. We already seen 50 years – and 50 years in the modern world is quite a long time – but I want to see it around for another 50 or 100 years. Wolf Blass recently entered a marketing agreement with English Premier League club Manchester City. Why Manchester City? When we were talking to the people from Manchester City, the core values of their business is exactly the same as what we’re trying to do at Wolf Blass. When they were presenting to me about what they do, I was thinking, that’s like Wolf Blass. There are so many similarities in what they’re trying to achieve to what we do. It’s about quality, achieving success at what you do, and enjoying that success. It’s not just “football”!